Once again, the jobs report beat estimates by about double. The January report showed there were 304,000 jobs created. This beat estimates for 158,000. The BLS report beat the ADP report’s estimate for private sector job creation. ADP showed 213,000 and the BLS report showed 296,000 jobs created. The bad news is the great December report was revised from 312,000 jobs to 222,000. That’s why it’s important to avoid focusing too much on one report especially before it gets revised. The November report was revised up by 20,000. 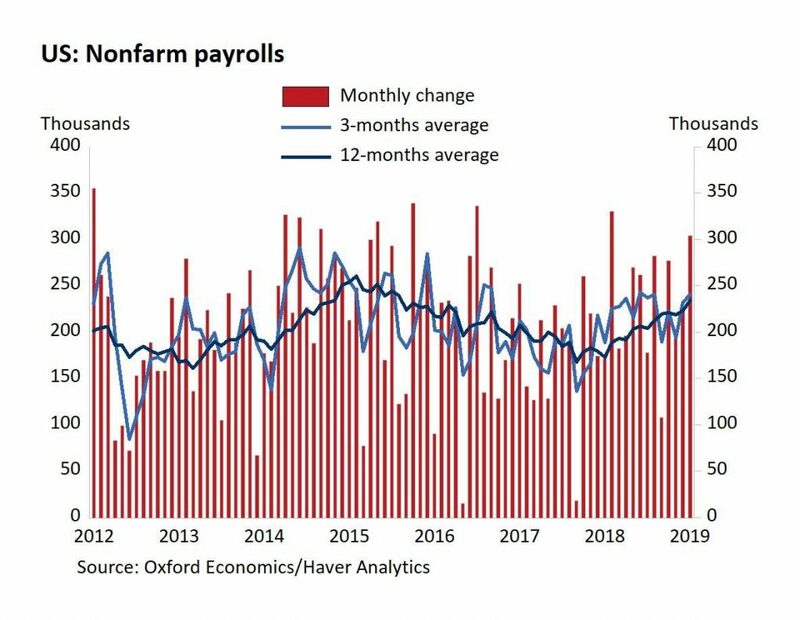 As you can see from the chart below, the latest results have led the 3-month and 12-month average job creation to increase. The 12-month average is near the peak in early 2015. The bad news is the labor market is a lagging indicator. So using a moving average is going to give us even more delayed data. Since we still don’t have a few economic reports because of the government shutdown, lagging data tells us more than it usually does. January was weak as there were 13,000 jobs added which missed estimates by 2,000. The December reading was revised from 32,000 to 20,000. The leisure and hospitality industry was the strongest as it added 74,000 jobs. This over doubled its average job creation in 2018 which was 29,000. Food services and drinking places added 37,000 jobs. Amusements, gambling, and recreation added 32,000 jobs. The government shutdown didn’t factor into the job creation from the government because they were counted as employed. The construction industry added 52,000 jobs which almost doubled the 27,000 jobs created on average in 2018. Residential and non-residential specialty trade contractor jobs were up 15,000 and 19,000.